Are you ready? Artificial intelligence (AI) isn’t just for tech companies. Biotech stocks are also capitalizing on AI’s potential to deliver revolutionary drugs and speed up drug discovery. A recently released report by Accenture reveals that AI in healthcare could become a $6.6 billion industry by 2021. This is up from just $600 million in 2014. So clearly it is not just our health that’s at stake here- it’s also our wallets. We are looking at a massive investing opportunity here with huge growth potential. So which top biotech stocks can you invest in now to benefit from this booming industry? Here I use TipRanks’ market data to pinpoint five stocks using AI in a variety of exciting new ways. 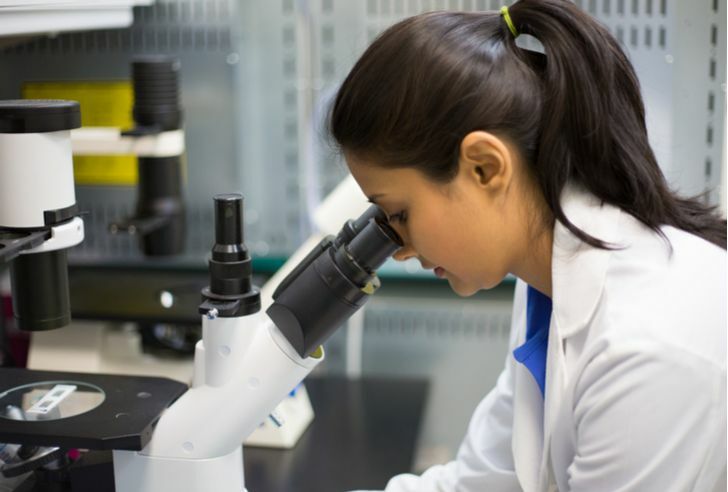 Biotech BioXcel Therapeutics Inc (NASDAQ:BTAI) is on the hunt for the next wave of neuroscience and immuno-oncology medicines. BTAI uses AI to identify untapped potential in existing drugs or clinically validated product candidates. These are drugs that are safe and well-tolerated but didn’t complete clinical development. 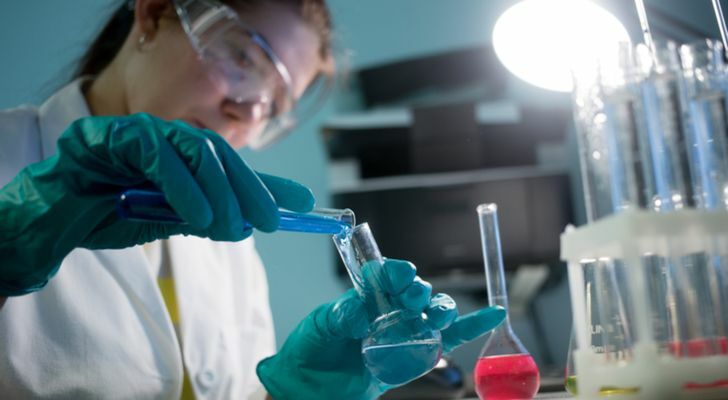 “We believe that this differentiated approach has the potential to reduce the cost and time of drug development in diseases with substantial unmet medical need” states BioXcel. Indeed, the savings appear massive — at about $50 million-$100 million of the cost (over $2 billion) typically associated with developing new drugs. Right now, all eyes are on two pipeline products BXCL501 (for dementia, schizophrenia and bipolar disorder) and BXCL701 (for prostate and pancreatic cancer). “Importantly, if the products, which are first-in-class for the indications that BTAI is targeting, make it to market, we view 501 and 701 as having the potential to generate ~$722mn and ~$1.9bn in peak sales in 2029E” states Canaccord Genuity analyst Sumant Kulkarni. Overall, five analysts have published buy ratings on BioXcel in three months. Their average price target of $20 indicates 105% upside potential. Globus Medical Inc (NYSE:GMED) is a unique biotech using advanced technologies like AI to refine spinal surgery. Top Cantor Fitzgerald analyst Craig Bijou has just initiated coverage of Globus with a “buy” rating. He also has a $65 price target on GMED (15% upside potential). He calls Globus a “top pick” in the massive $9 billion spinal market. “It has the best opportunity to capitalize on spine market trends” states Bijou. “Early success of emerging technologies may be a harbinger of what to expect over the next several years” writes Bijou. He forecasts emerging technologies to grow from around $13 million in 2017 to nearly $100 million in 2020, adding 3%-5% of incremental growth. “GMED’s best-in-class profitability should allow the company to invest organically or inorganically to drive top-line growth for the next several years and react to the evolving trends of the spine market” concludes this top-rated analyst. Indeed, the company snapped up Swiss robotic developer KB Medical last year. “The acquisition of KB Medical demonstrates Globus Medical’s continued commitment and enthusiasm for the potential impact of robotic technology on surgery,” stated GMED’s Emerging Technologies’ President Dave Demski. Globus also owns the ExcelsiusGPS robotic device system. This was the second spine robot to make it to market in the U.S. in the fourth quarter of 2017. And so far the uptake looks promising with 24 robots installed in the first two quarters (Bijou’s estimate). In total, four top analysts have published recent buy ratings on GMED, with only one analyst staying sidelined. The average price target from these top analysts currently stands at $60.50. Medtronic PLC (NYSE:MDT) is one of the world’s largest medical tech companies. Medtronic is forging ahead into the AI space with its revolutionary diabetes device. This is a continuous glucose monitoring (CGM) tool that uses AI to schedule multiple daily insulin injections. The predictive algorithm uses IBM (NYSE:IBM) Watson’s Sugar.IQ diabetes assistant, which monitors how a patient’s blood glucose levels responds to everything from food and insulin dosages to exercise. “Newer sensors paired with intelligent algorithms that help to both predict and understand glucose excursions, particularly hypoglycemia, will make diabetes safer and more comprehensible for people who inject insulin,” commented Professor Timothy Bailey. 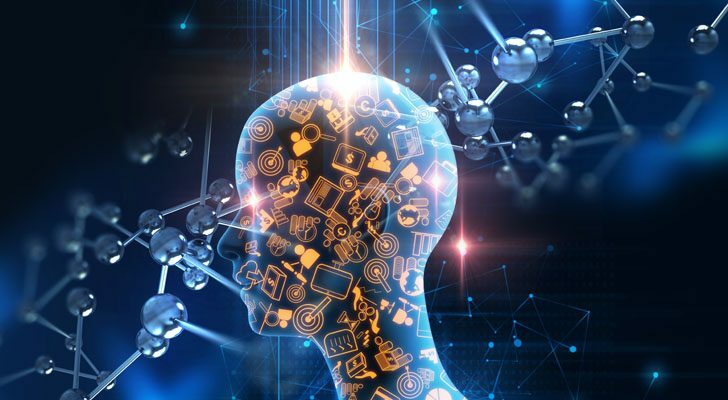 If you want to add AI biotech exposure without breaking the bank, consider robotic upstart TransEnterix Inc (NYSE:TRXC). The company just received another regulatory win for its Senhance robotic surgical system. Shares spiked 27% on the news that the FDA has now approved the Senhance system for two new procedures, namely laparoscopic inguinal hernia and cholecystectomy (gallbladder removal). “Importantly, this indication expansion represents another important regulatory milestone for TransEnterix, as it continues to successfully navigate FDA. And, with a now broader set of surgical indications, we believe TransEnterix is better positioned today to engage both surgeons and hospital administrations in robotic acquisition discussions,” concludes Wise. Overall, this “strong buy” stock has received three recent buy ratings from the Street and one hold rating. The average price target of these analysts currently stands at $4.13. 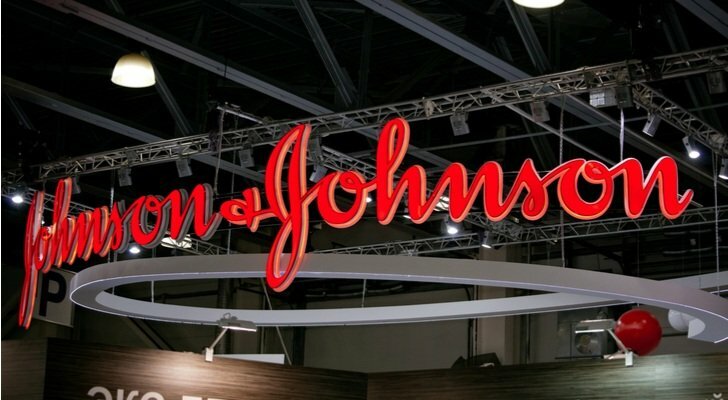 Global pharma giant Johnson & Johnson (NYSE:JNJ) is investing heavily in AI. Look out for an exclusive collaboration with biotech Janssen R&D into how AI can detect signs of Alzheimer’s disease. The companies are aiming to be able to diagnose neurodegenerative diseases years before they become apparent just by using voice samples. “Verb capitalizes on strengths of both companies, with management highlighting what it sees as differentiated instrumentation, a better surgeon interface, and use of data analytics pre-op, post-op and to optimize the procedure. The system is on track for a 2020 market launch” commented Oppenheimer’s Steven Lichtmann. In total, JNJ has a cautiously optimistic “moderate buy” analyst consensus rating. Over the last three months this breaks down into six buy, two hold and one sell rating. The average price target of all the polled analysts comes out at $144 (18% upside potential). Article printed from InvestorPlace Media, https://investorplace.com/2018/06/5-ai-biotech-stocks-to-bet-on-now/.